BEA partners and municipalities gather during COP22 at the BEA Breakfast. Photo by WorldGBC. 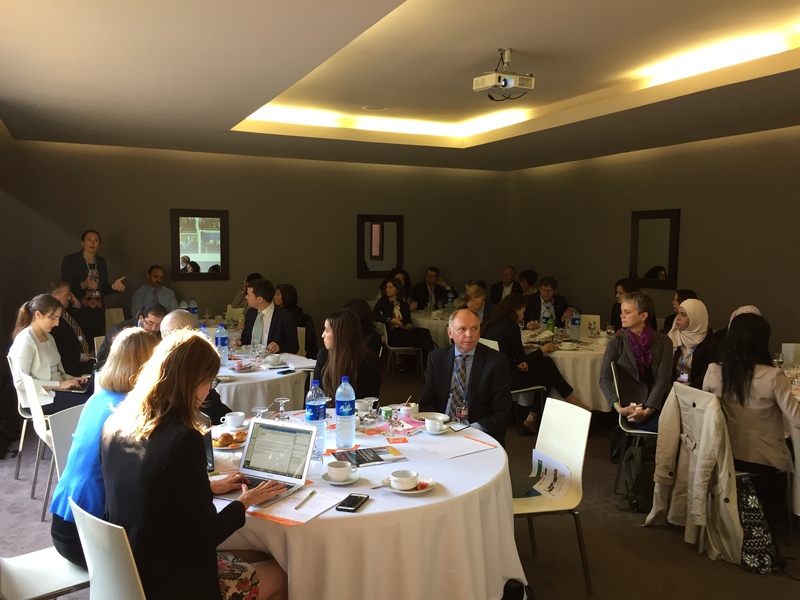 Over 30 BEA partners and municipalities gathered at a breakfast in Marrakech, Morocco during COP22. BEA municipalities Iskandar (Malaysia), Dubai (UAE) and Warsaw (Poland) presented their latest building efficiency activities, highlighting strong partnerships with their local Green Building Councils. BEA partners Global Environment Facility (GEF), United Nations Foundation and Sustainable Energy for All (SEforALL) spoke about linking energy efficiency and financing options for cities.